Everyone talks about getting fit and healthy, but how do you go about it and keep at it? 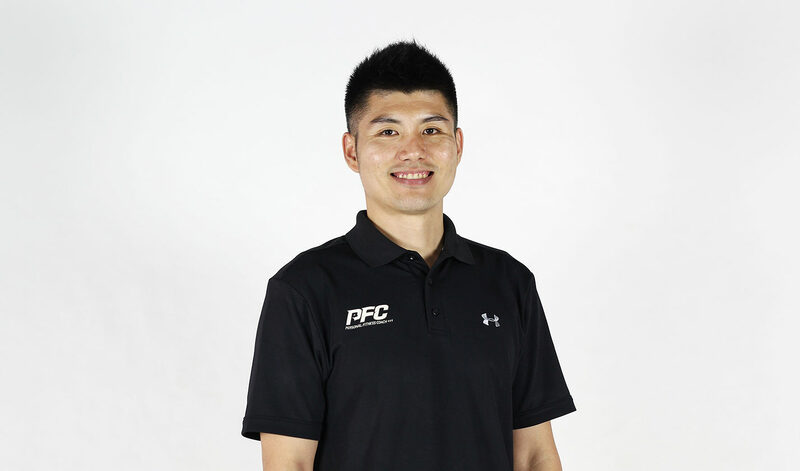 In walks Jeremy Ng, into PFC Studio on the fringe of Kuala Lumpur city and most people would not imagine the ‘serious looking’ coach would have been teaching group fitness classes like Body Pump, Body Attack and Step in the past. 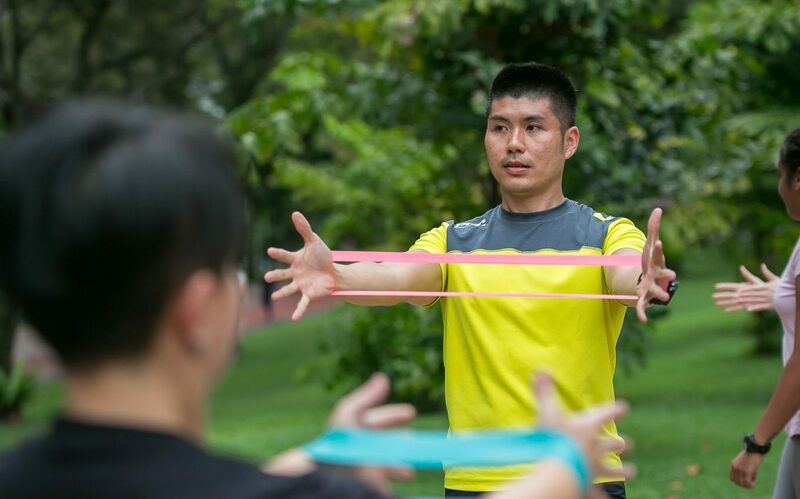 ToughAsia spoke to Jeremy and picked his brain about Personal Fitness Coach (PFC) which specialises in fitness education, sport performance training, post rehabilitation while using Sanctband products. TA: What inspires your fitness? Jeremy: Currently, movement inspires me and I’m very focused on it. A lot of ppl think that exercise is wearing a pair of shoes and go for a run, but there are other things to consider. We’re not engaging a lot of muscles due to our sedentary lifestyle and when people suddenly get inspired to join their friends, they are suspectible to picking up injuries. 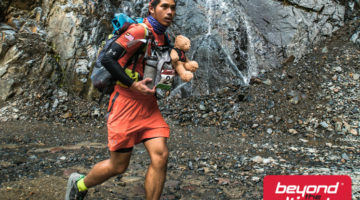 There are even young ppl passing away even though they are healthy and active. So forget the heavy lifting, let’s get focused on movement and make sure that you can engage your core better. Through education, we can change people’s perception about fitness. TA: What is your vision for Sanctband in Malaysia, with PFC Studio being the official distributor? Jeremy: We envision having Sanctband products in most gyms and more importantly, having the trainers know how to use the products. 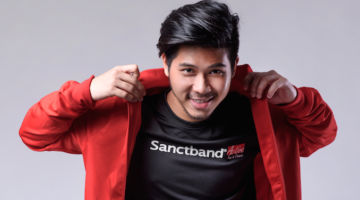 Sanctband’s resistive bands and tubings are a necessity for trainers. We need to get them to realise this and they can pass the knowledge to the gym goers, and let them realise that they can do this at home too. PFC will curate specific education programs with accredited fitness institutions to educate the trainers and everyone else, and change their perspective about resistive bands. Basically, we need to educate them on how to activate weak muscles before starting to lift weights. These bands waken up a lot of muscle fiber and joints, to better control their movement. 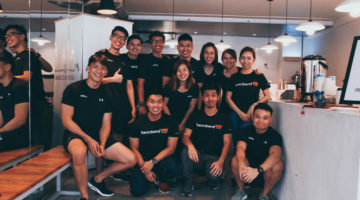 TA: How have you used Sanctband to change someone’s fitness journey? Jeremy: Someone came in with knee pain and after a few sessions, the knee pain was gone. This is the result of the assessment we conducted to counter the muscle imbalance and activate the right muscles to move and re-educate the body how to walk. This is why we emphasise on movement which I mentioned earlier. For post-rehabiliation, we work with Orthopedic surgeons, Osteopaths and Physiotherapists. We give the patients a few sessions which they can continue doing it at home to improve their problems. TA: Which type of sports benefit most from using Sanctband’s products? Jeremy: All sports, simply because there’s always a need to do strength and conditioning sessions. In Basketball for example, the players can use the resistant band for activation and pylometric work. Then, they can do a single leg hop and land, which is essential for explosive reactiveness. In PFC and Sanctband’s running community, we’ve been creating awareness over the last few months. We incorporate the mini loop for glute activation, and to activate the shoulder girdle. The runners also use the loop above the knee, and also do the single leg stand. Most of the runners are now running faster, those with knee pain have resolved that, overall they are performing better and less lethargic. As a result, these runners will also reduce the rate of injury. Photos provided by Jeremy Ng.